Spermophilus beecheyi, the common California Ground Squirrel. They grow up to 11 inches with a bushy tail up to 9 inches and inhabit grasslands, open oak-savannah valleys, and foothills. 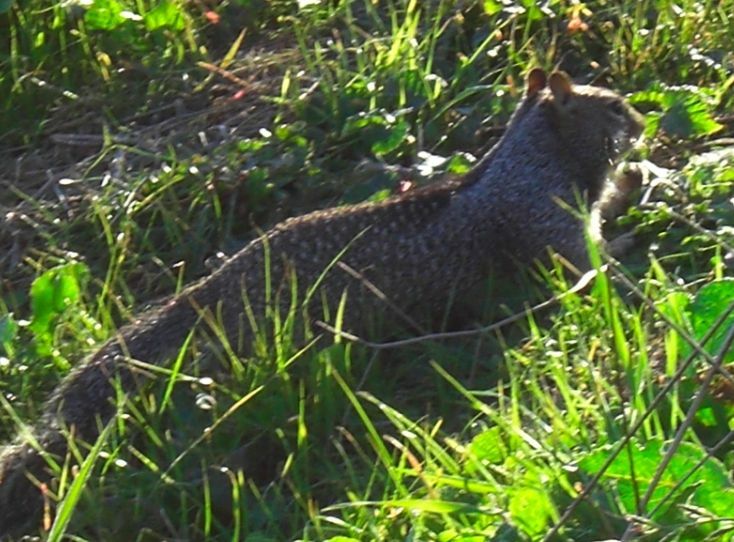 This squirrel ranges from central Washington to Baja California. They burrow on open hillsides and cliffs and hibernate in winter.